After the Russian Parliament ratified a protocol to an agreement in July on the Russian Air Force group deployment to Syria some among the Russian political elite suggested that Moscow needs more foreign military facilities, including in the Middle East. Iranian Foreign Minister Mohammad Javad Zarif indicated that Tehran could allow Russia to use its military bases to carry out counterterrorism missions in Syria, saying the decisions would be made "on a case-by-case basis." Political analyst Vladimir Sazhin told Radio Sputnik that Iran's statement is meant to test the waters. According to the Russian deputy foreign minister, he wouldn't discuss the issue of Russia's possible use of the Iranian Hamadan airbase during his upcoming visit to Iran. Last week, Iranian Defense Minister Hossein Dehghan said that Tehran could allow Russia's use of the Noje Airbase in Hamadan for the aerial campaign against terrorists in Syria if the situation demanded it. Tehran is ready to allow Russia's Aerospace Forces to conduct flights from Hamadan airbase depending on the situation in Syria, Hossein Sheikholeslam, an adviser to Iranian Foreign Minister Javad Zarif, said Tuesday. Iranian Defense Minister stated that Iranian authorities could allow Russia to use the Hamadan air base in western Iran for Moscow's aerial operation against terrorist in Syria if the situation in the crisis-torn Middle Eastern nation demanded it. Russia and Iran may restart negotiations on the use of the Hamadan airbase in western Iran when needed, Russian upper house of parliament's defense committee chair Viktor Ozerov said Monday. 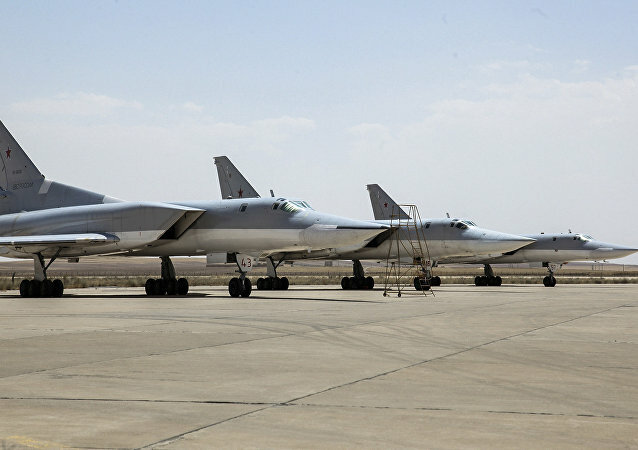 Moscow and Tehran are currently in negotiations over the redeployment of Russian bombers to the Hamadan airbase in Iran so that they could resume their counterterrorism missions in Syria, Izvestiya reported, citing an unnamed source in military and diplomatic circles. 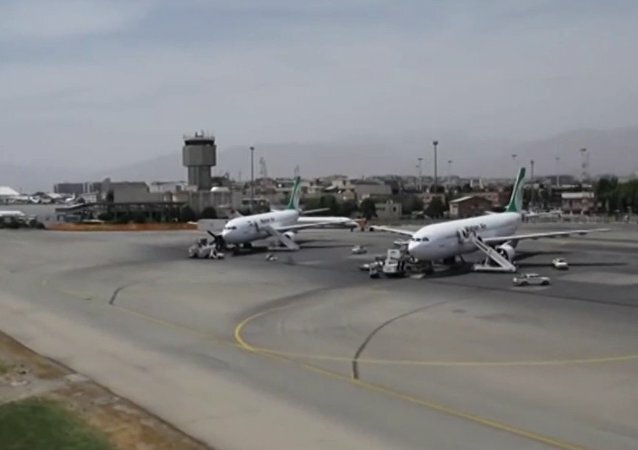 Moscow first sent its planes to the Iranian airstrip in August. Iranian presidential adviser called for Russia using the Iranian air base of Hamadan to fight terrorism in Syria. Russia and Iran share a common strategic goal – to fight terrorism in Syria and Iraq. Moscow will not deploy a full-fledged military base in Iran but may use the Hamadan airfield in the future, a military analyst told Sputnik. Moscow has not sought and is not pursuing the aim of gaining control over any airbase in Iran, Russian Ambassador to Iran Levan Dzhagaryan said Wednesday. Iran will most likely allow Russia to use its Hamadan airfield to launch airstrikes against radical groups fighting in Syria since both countries are "bound to have a mutually beneficial" relationship, Vladimir Komoedov, former commander of the Black Sea Fleet, told the newspaper Izvestiya. 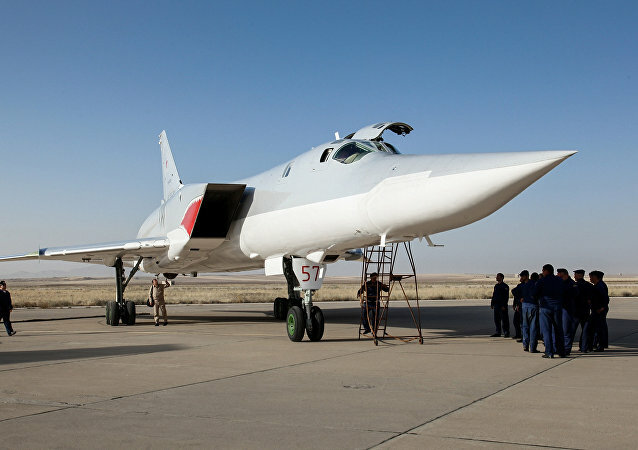 Russian military aircraft in Iran are only allowed to refuel at the Hamadan airbase in accordance with existing agreements, the chairman of the Iranian parliamentary committee on foreign policy and national security said Wednesday. According to a spokesman for the Iranian Foreign Ministry, Russia has stopped the use of Iran's Hamadan airbase. Iranian Defense Minister Hossein Dehqan said that Russia can use Iran's Hamadan airbase to strike jihadist targets in Syria for as long as needed. Russia is "serious and resolute" in its efforts to defeat terrorism; this is why "the United States should join Moscow and its allies in this fight," Iranian political analyst Mosib Na'imi told Sputnik. Over the past five years, since the beginning of the so-called Arab Spring, the situation in the Middle East has become even more complicated. Some dramatic changes have happened to the regional balance of power, including Russia’s comeback as one of the key players. The deployment of Russian bombers taking part in the counterterrorism operation in Syria to the Hamadan airfield in Iran has become a milestone in bilateral relations that will pave the way for a "strategic partnership" between Moscow and Tehran, Vladimir Evseev, the deputy director of the CIS Institute, wrote for RIA Novosti. Cooperation between Moscow and Tehran has been a "direct slap in the face" to the United States, the North Atlantic Alliance, as well as other countries and forces that are trying to destabilize Iran and Syria, political activist and journalist Navid Nasr told Radio Sputnik.